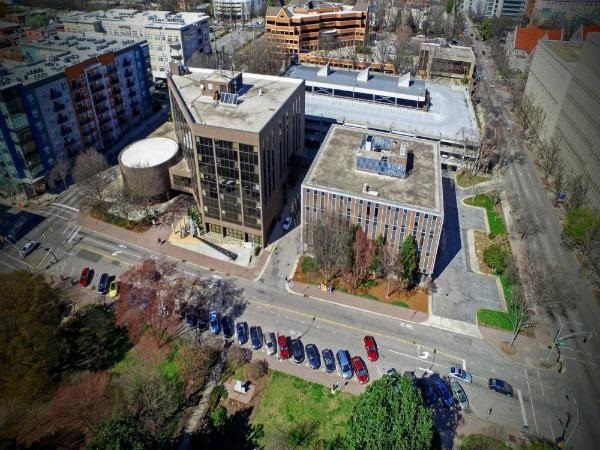 The City of Raleigh has unveiled plans to overhaul the government complex, including building new high-rise towers, as reported by WNCN. The development will take place in three phases. Phase one calls for a 20-story tower to replace the old police headquarters, which is currently vacant. The $190-million tower project received approval from City Council last year. Still, council have to approve the additional phases in the civic campus master plan. Phase two calls for a second tower at the site of the existing municipal building next door to the old police headquarters. Phase three would be a mixed-use project developed by a third party at the site of the existing parking garage behind the municipal building. It could also be up to 20 stories in height. The first tower is expected to be completed by 2023.